The 7 Day Fat Burner has been available for several years and continues to make claims like “lose 7 to 14 lbs in just one week,” It is also known as the 7-DFB. Because of its overrated results, 7DFB has a strong appeal to the customers’ hopes and determination to lose weight. However, it has proved to be a quite ordinary diet pill with nothing exceptional to make you thrilled about. This product is mainly successful in the US market, as consumers there seem to be less suspicious than UK customers. 7-DFB, along with the 365 Day Diet Pill and the 72 Hour Diet Pill are all among the most popular diet products with American consumers. Also, two other slimming products, Orovo and Lipovox seem to be related to 7-DFB and they try to succeed in the slimming supplements market, with additional claims of having more advantages, or offering something special. Also, the 7-DFB is classed as a detox product and one which helps in the cleansing of the body, and not simply one that helps losing excess weight. The 7-DFB basically consists of a combination of natural substances, something that leads to increased diuretic results and the loss of excess water from the body. This loss of water makes consumers think that they have lost weight because of burning unwanted fat, but in fact, their body has lost large quantities of water just because they go to the toilet more often. It would be much easier to make a list of the ingredients this diet pill does not contain, rather than compiling the list of the 35 substances it is composed of. This is exactly the reason why a cautionary warning is necessary at this point. The presence of such a large number of substances in a product does not necessarily mean that this product is really effective or better than others. Most of these substances, such as Flaxseed, Alfalfa, Acai Berries or Juniper Berries, which are regarded as super foods and highly effective in the battle against obesity, are only present in miniscule quantities in the composition of 7DFB. And we can all understand that such small quantities are rather improbable to be beneficial. As the product consists mainly of natural ingredients, it does not present any serious side effects that could actually harm consumers’ health. The only precautionary measure that you should take is drinking plenty of water or fruit juices to prevent dehydration, since the product has strong diuretic effects as we mentioned above. We are sorry to say, but the only serious “side effect” of 7DFB is its inadequacy to help you lose weight by actually burning excess fat. Most consumers say that they were pleased to have lost some weight after the first few days or after the first week of using this product. However, they complain about regaining that weight soon after they stopped taking these diet pills. This is due to the fact that this product actually makes you lose water, not excess fat! You can find customer feedback and testimonials both on the official website of the product, and on plenty unofficial ones. The difference is that on the official site most of the testimonials are excellent, but on the other sites they appear less positive. One more point is that several customers complain that they cannot get in touch with the company that sells the product, so they are not able to ask for a refund as the product is sold with a money back guarantee. Can be purchased directly from the official website. Not available in high street UK stores such as Boots or Superdrug. Phen375 is a non prescription fat burner that competes at the very top end of the genre. 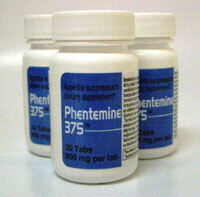 It is made from synthetic and natural ingredients and released as an alternative to the prescription only Phentermine.